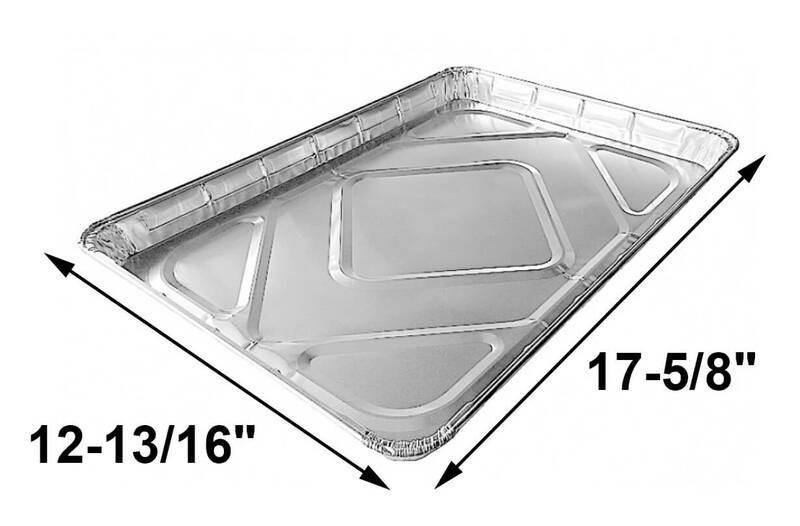 Home :: All Products :: USA-Made Drip Pan Liner, Aluminum, 3 ct. | 12-13/16" x 17-5/8"
USA-Made Drip Pan Liner, Aluminum, 3 ct. | 12-13/16" x 17-5/8"
Your current drip pan may be old, rusted and have holes. If you cannot find a replacement, try these drip pan liners to cover the original drip pan in your BBQ gas grill. 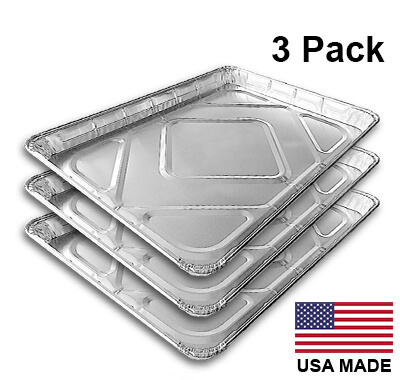 One aluminum drip tray liner may last for one season and can be easily disposed and replaced with another drip pan liner from this 3 pack. These drip pan liners will get your grill catching grease again and get you back to grilling. Depending on the make and model of your bbq gas grill, you may need to cut a hole in the middle of the drip pan liner / grease tray liner. If cutting a hole is not appropriate for your bbq gas grill, it is highly recommended for drip pan liners / grease tray liners be replaced with a new / unused one or to be cleaned to help decrease a possible grease fire. If you need help determining whether or not to cut a hole in the drip pan liner / grease tray liner please email us at info@grillpartssearch.com or call us at 877-244-0737. 1. If the original drip pan / grease tray is removed by pulling / sliding towards you like a drawer, the new aluminum drip pan liner / grease tray liner can simply be placed on top of the original drip pan / grease tray. 2. If the drip pan liner / grease tray liner cannot be installed by sliding in, it may need to be installed by removing the cooking grid, briquette grates, heat plates and / or burners and placed on top of the original drip pan / grease tray. If you need help with installation please email us at info@grillpartssearch.com or call us at 877-244-0737. I was so happy to find these. This is a great option to keep your grill going even if you can’t find an exact replacement for your grease pan. Just put it over that rusted hole in the middle and keep the juices from dripping on your propane tank!